This celebration stems from the belief that the souls of dead relatives visit the earth on this day and families need to ensure that there is plenty of food available for these souls so that they can gain strength to continue on their journey in the afterlife. This tradition is observed in many countries around the world, with variations. In Mexico, the celebration is called Dia de los Muertos, meaning Day of the Dead, but in Peru the term Dia de los Difuntos, meaning Day of the Deceased, is preferred, as it is seen to be more respectful. In other countries it may be referred to as All Saints Day or All Souls Day. 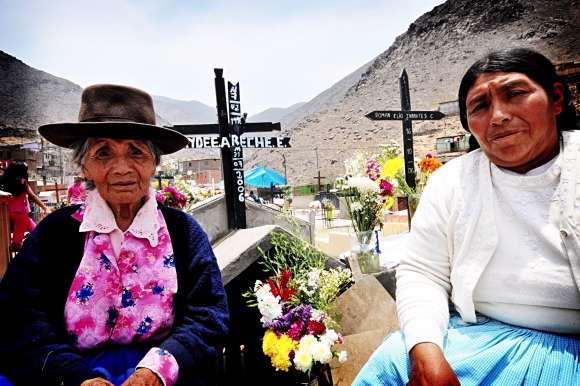 In the more rural communities of Peru, it is common for families to have a meal at, and even on, the graves of deceased relatives before leaving food for them. 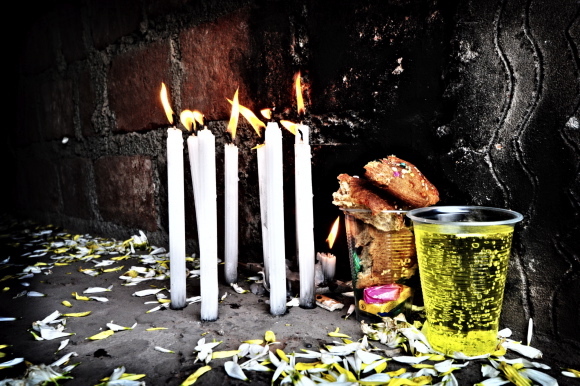 In the cities, families generally have their traditional meal at home, but still visit the cemetery to either leave food or flowers at the graves. Traditional foods specific to this celebration are tantawawa and lechon (roast suckling pig). 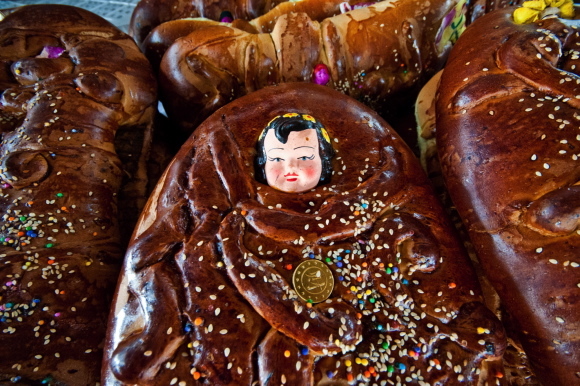 Tantawawas are a sort of dolls constructed with mass of bread, adorned with caritas or mascaritas, which decorate and give authentic beauty to them. On the other hand, on All Saints, not only tantawawas are made, but bakers also prepare achachis, horses, crowns, stairs and others. 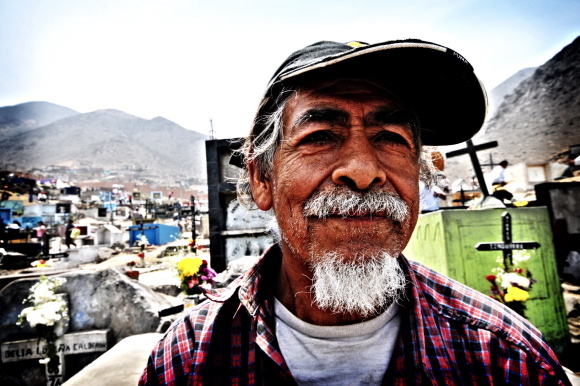 Achachis are figures of coloured people and old people that refer to grandparents and family parents; horses transmit the message that they can be used to transfer the deceased from the Pachamama (mother earth) to the Alaxpacha (the superior space where the sun, moon and stars are situated). The crown refers to flowers and that the spirit and ajayus are fed well and in good health; while the stairs are said to remove clouds from the deceased so that they can rest peacefully. 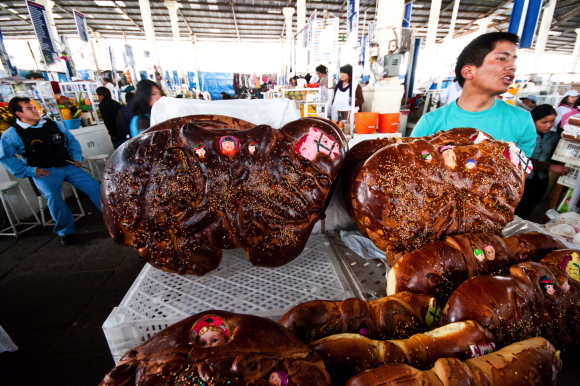 Some families make their own bread babies, but most bakeries have them for sale for weeks prior to the celebration, and they are also on offer at cafés and restaurants during this period. 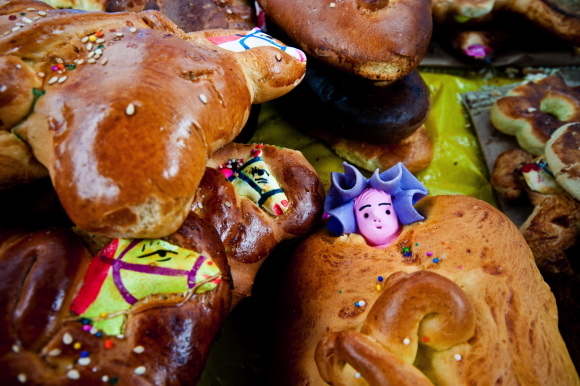 The original meaning behind tantawawas is not quite clear; nevertheless, they form an integral part of all Dia de los Difuntos celebrations throughout the country. 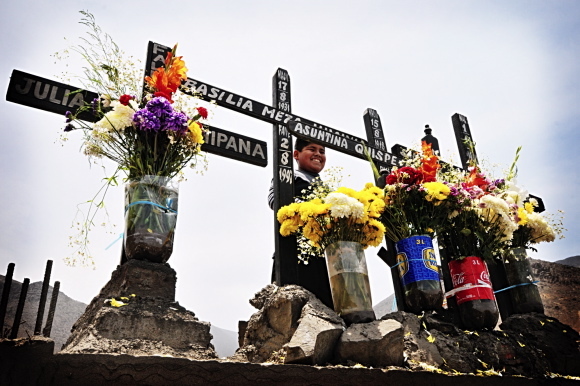 Throughout rural Peru the celebration of Dia de los Difuntos is seen as a time for families to reconnect with their ancestors, as well as an opportunity to remember their roots. While the mausoleums and graves are cleaned, it encourages family members to remember the deceased as they were while they were still alive. 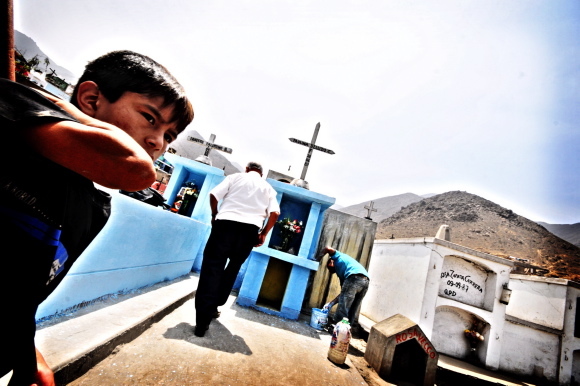 For this visit, relatives or friends also bring the favourite food and drink of the remembered deceased, sing their favourite songs and bless the tombs. 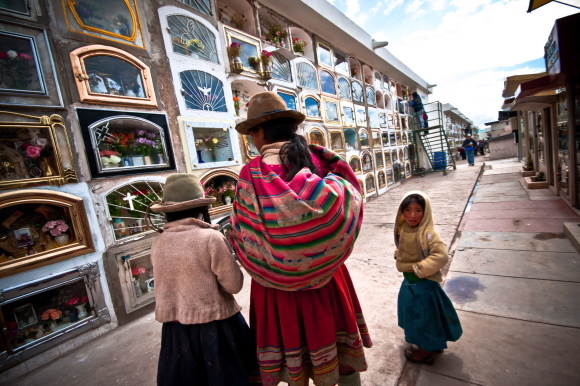 The spiritual remembrance of the dead is a natural tradition rooted in the earth. A typical food of this festival is the pig. 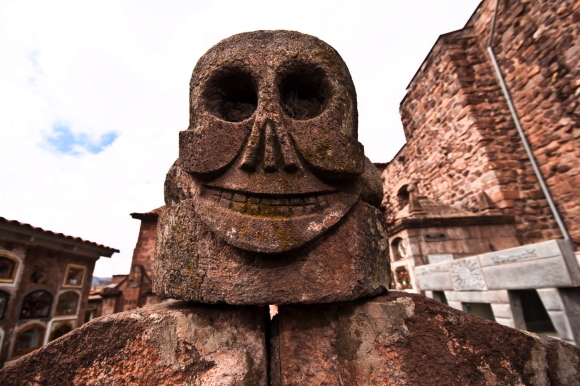 Like most pre-Columbian cultures, the Incas were members of an agricultural society who worshipped their ancestors. In the northern hemisphere, Day of the Dead festivities focus on sharing the harvest with dead ancestors. South of the equator, early November is a time of returning spring rains, the reflowering of the earth and the anticipation of the harvest season. As such, the start of the very important planting season is celebrated and shared with ancestors. When the Spaniards arrived, they found a way to fuse these pre-Columbian traditions with All Saints Day (Día de Todos Santos) on November 1st and All Souls Day on November 2nd. 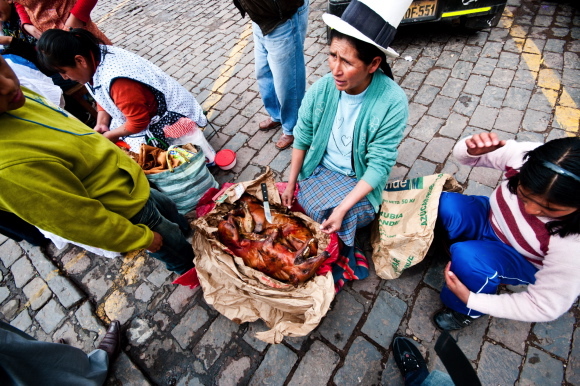 In Peru, November 1st is celebrated nationally, but in Cuzco it is known as Día de Todos los Santos Vivos (Day of the Living Saints) and celebrated with food such as lechon, sugar cane, chicha and tantawawa breads. 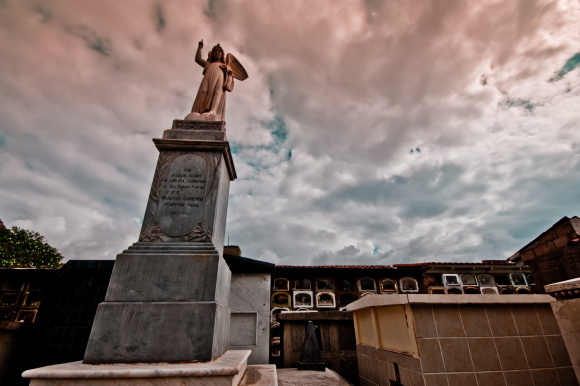 November 2nd is considered the Día de los Santos Difuntos (Day of the Deceased Saints) and is honoured with visits to cemeteries. 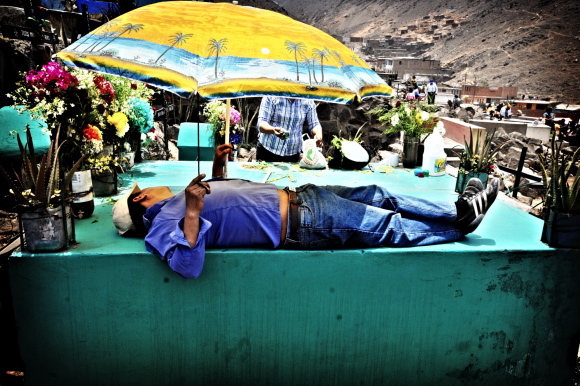 The photographs for this article were taken in two different locations: in the popular cemetery of Carabayllo, which is a poor district of Lima, and in the Almudena cemetery in Cuzco. 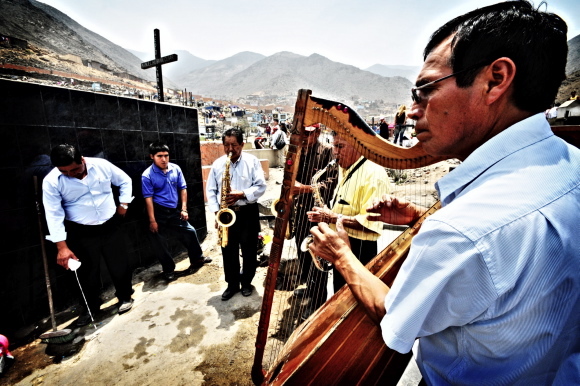 Most of the people living in Carabayllo district comes from the Andean zones of Peru, so on this day they paint and clean the graves and drink, eat and sing with the help of several bands playing upbeat music, which for ten soles play three songs in honour of a relative. On the other hand, in the Almudena cemetery, which is a really elegant place where important and famous personalities from Cuzco are buried, drinking and eating are not allowed inside its walls. Instead, more than a thousand people gather in front of their ancestors’ wall niches. 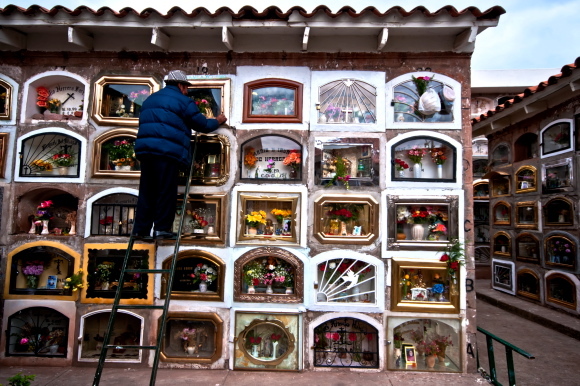 In South America, when a person dies they are buried in a casket for ten years, before being dug up and cremated, and the ashes are placed in a niche in a wall of the cemetery. For the wealthy, the ashes are placed in little stand-alone marble houses that are large enough to accommodate the entire family. 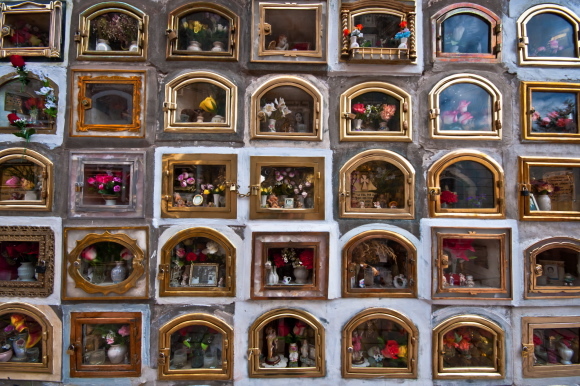 The wall niches at Almudena are interesting little dioramas of the deceased persons’ lives. 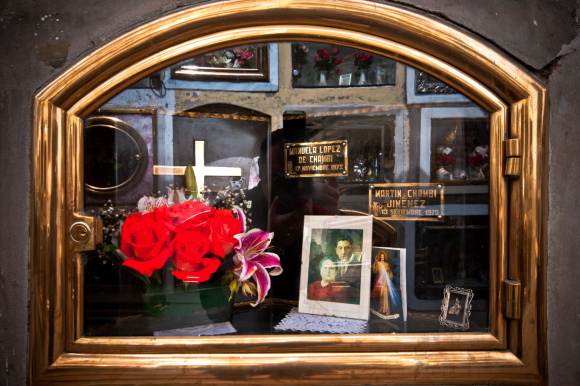 Inside framed glass enclosures are symbols of the lives that the people led: dinner tables with large feasts, large beer and pisco bottles, automobiles, flowers, dolls, photos, religious statuettes, and so forth, with each two-foot by one-and-a-half-foot space representing a life.